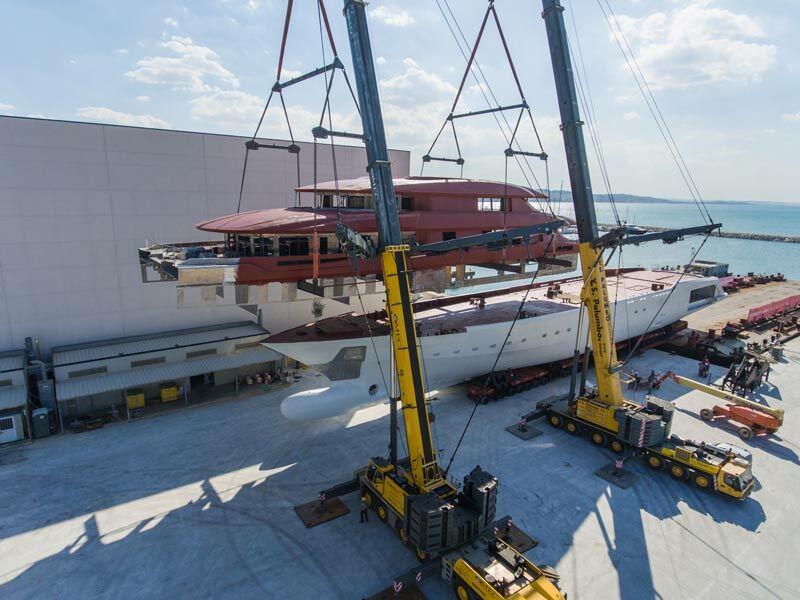 The hull of Columbus 80m has reached the Ancona shipyard, waterborne, after a long trip from naples. Now it will be coupled to the superstructure. 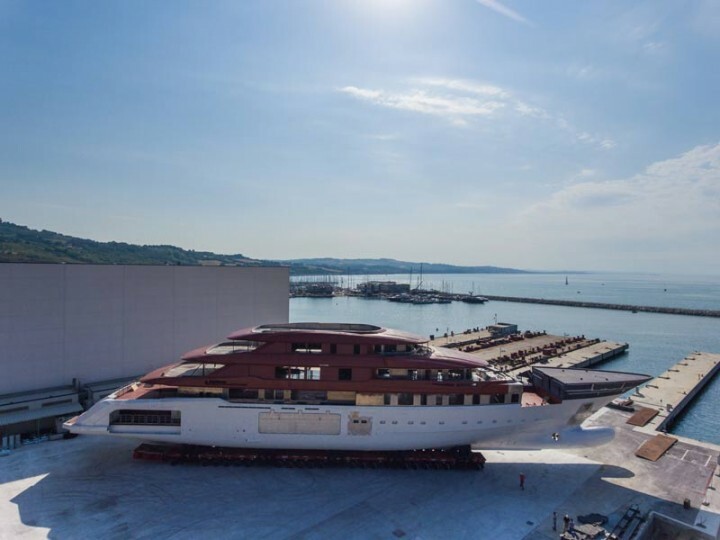 After a trip on a barge from Naples to Ancona, the steel lower section of Columbus 80m, one of the largest yachts ever built in Italy, has reached the Adriatic yard of Palumbo Group, to be married to the aluminium upper one, which is almost completed in the Ancona site. The arrival of the huge structure required a number of very complex operations, proper of the building of commercial and shipping vessels. In particular, the complex sequence involved the unload of the hull from the barge, coupling it to the superstructure, rotating the whole ship, and moving her inside the lately completed shed, capable of accommodating two 110-meter units at once. The hull comes already fitted with equipment, piping, machinery, stabilizing fins, engines, generators, pumps and bow thruster. Moreover the exterior areas and the crew quarters are almost done, while the guests' deck is completed and ready to be furnished and finished before the final painting. 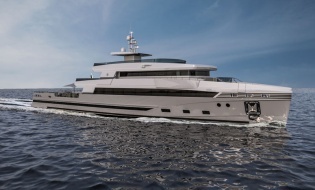 By constructing the two parts of the yacht in parallel and not in series, it was possible to maintain the ultimate quality standards required by such a demanding project, while reducing the time to delivery by about eight months. 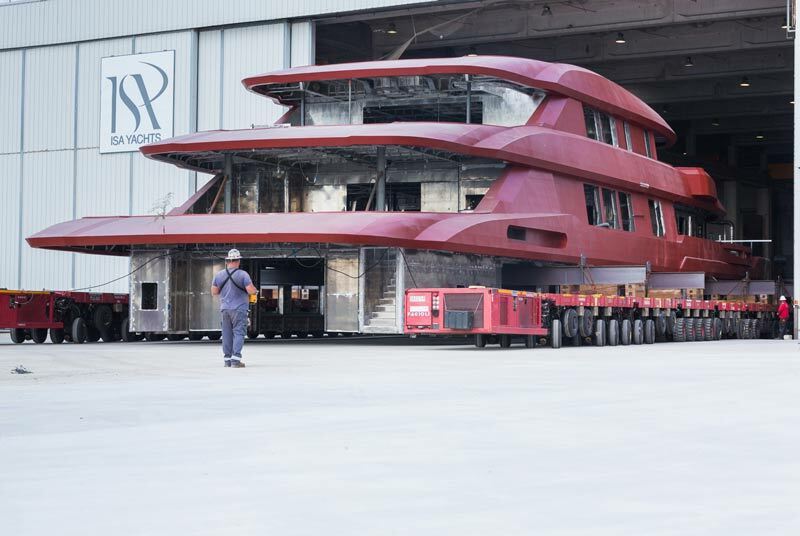 So much so that considering the current stage of the work, 12 months will suffice to see the new Columbus 80m completed and ready to be delivered to her owner.